Emma Thompson’s Screenplay for Sense and Sensibility: The Best Austen Adaptation? 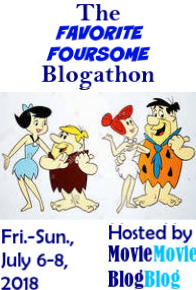 This post is part of the 31 Days of Oscar Blogathon, hosted by Kellee of Outspoken & Freckled, Paula of Paula’s Cinema Club and Aurora of Once Upon a Screen. Click HERE for a list of the other posts for Week 3: The Crafts. I would venture to guess if you polled Jane Austen fans, the most popular adaptation of her work would far and away turn out to be the 1995 six-part BBC TV mini-series of Pride & Prejudice, starring Colin Firth and Jennifer Ehle. It is certainly the adaptation that kicked off the now-20 year long resurgence of Austen’s work. As lovely as that series is, and as perfectly cast as it is, it doesn’t quite do it for me as far as capturing the Jane Austen novels I love so dearly. I know when people hear Austen’s name, they think first and foremost that she wrote romances. I, on the other hand, would argue she did not write romances at all. She actually satirized the romances of her day. Her stories are survival stories, where marriage is the only respectable way for most of her heroines to escape poverty. Even in her novel Emma, that features a heroine who is wealthy and of the highest rank in her small sphere, there are two secondary characters–Harriet Smith and Jane Fairfax–for whom marriage is a vital matter of economic survival and respectability. 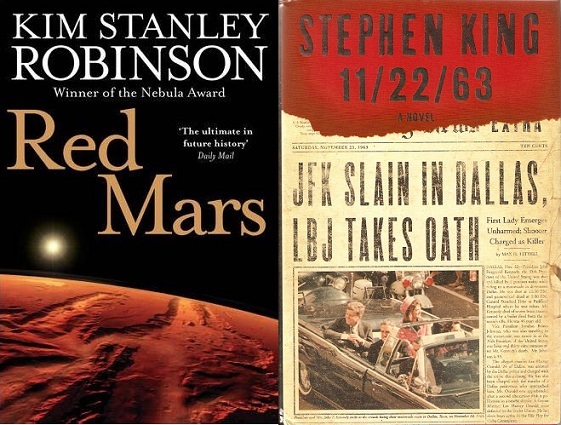 This post is part of the Stage to Screen Blogathon, hosted by Rachel’s Theatre Reviews and The Rosebud Cinema. 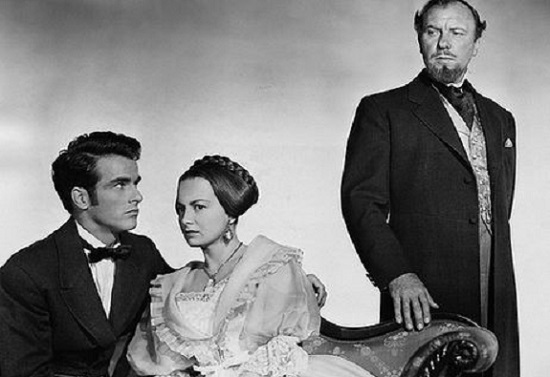 The 1949 film The Heiress is an adaptation of the 1947 play of the same name by Augustus and Ruth Goetz, which in turn is an adaptation of the 1880 novella Washington Square by Henry James. The novella was inspired by a story told to James by an actress named Fanny Kemble, about her brother’s courtship of a dull but very rich young woman. While Washington Square remains to this day one of James’ most popular works, James himself disliked it.